New build of Android 4.4.2 KitKat has been released for Samsung Galaxy S5 bringing some network improvements among others. The latest G900TUVU1BNG3 update enables the VoLTE for making voice calls over the T-Mobile’s LTE network. Here is how you can manually update Galaxy S5 to UVU1BNG3 Android 4.4.2 KitKat. 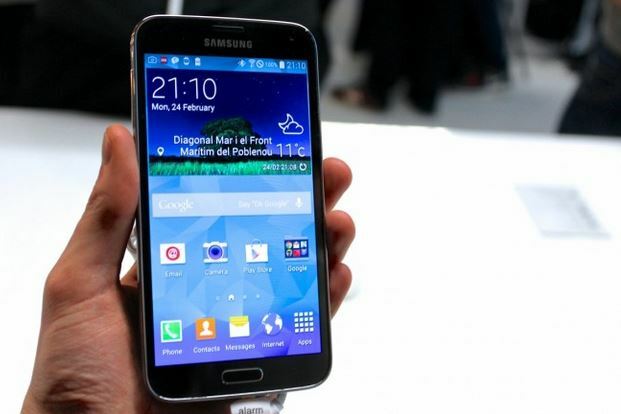 Note: This is an official Android 4.4.2 KitKat update for Samsung Galaxy S5 model SM-G900T. Please do not try it on other variants! Ensure that your Samsung Galaxy S5 G900T carries more than 80% of charge. Files required: download the Android 4.4.2 KitKat firmware from this link. Also download Odin3 v3.09 for installation from here. Unzip Odin; and unzip the leaked firmware file inside the same folder as Odin. Switch your Samsung Galaxy S5 off and boot it in Download mode: press and hold Volume Down, Power and Home buttons together. Connect your SGS5 via a USB cable; when connected successfully, you will get a message in Odin saying Added!!. (In case you don’t get it, try another USB port. If that doesn’t help either, then re-install USB drivers). Click on AP / PDA and select file with CODE in its name. In Odin make sure that the Auto Reboot and F. Reset Time check boxes are the only options checked; check Re-Partition only if PIT file is selected. T-Mobile Samsung Galaxy S5 will then restart and you can then disconnect your device from computer.